Born out of cool spring nights and chilly toes, the cuddly Lap Duvet has become one of my favorite fast projects. It’s a perfect way to highlight a unique fabric, and its simple construction makes it a total snap to sew! It’s also a great gift for so many occasions, a housewarming, a wedding, or even a baby shower! If you’d like to make your own Lap Duvet you can get the full free Lap Duvet pattern here. These are so pretty and right up my alley! I especially love the fabric choices! Always the most beautiful of products! These look so cozy. Wish I could snuggle in the pile. Great project. Thanks. 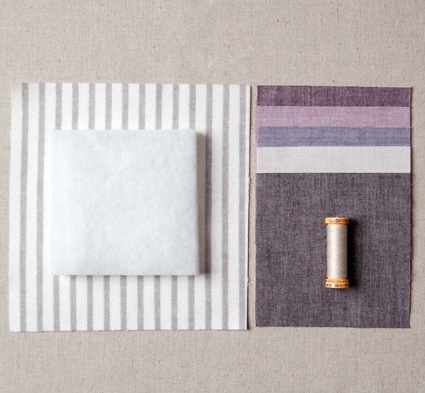 I think the solid colored linen blends would make good material for embroidery projects! You're right: this is "a perfect way to highlight a unique fabric"!! Great share! 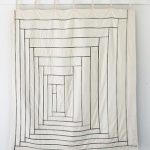 I think I may make this my first quilting project. Wish I still lived in NYC so I could come in for help if I needed it. 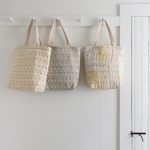 Can you make these using cotton batting, rather than wool? I love them, they are gorgeous! 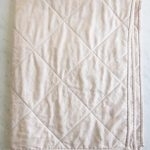 Yes, you can make this with cotton batting! It should be a nice weight for spring! Where can I get the striped flannel to make the receiving blankets? It is so beautiful and modern for babies lobe it. Also, you only use one layer of material? In other words, you didn’t double the fabric? 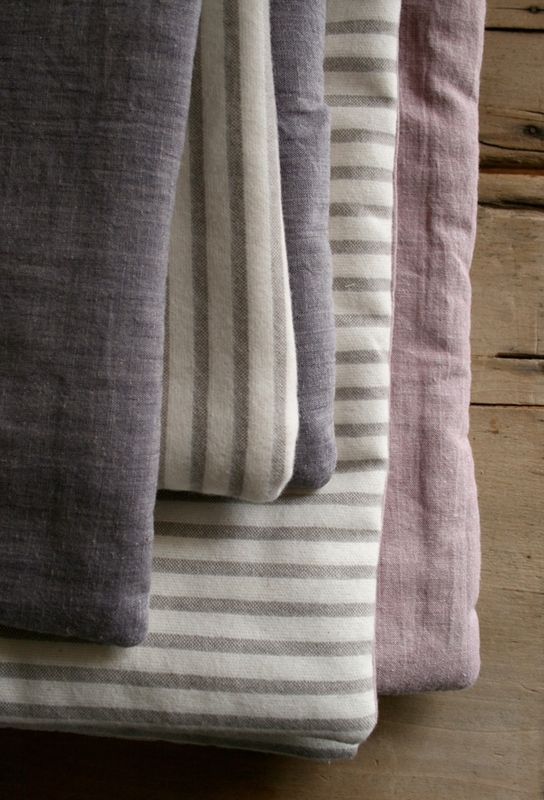 Can you tell me which colors of the Kiyohara linen blend are pictured in the 2nd photo from the top? Violet & Lavender? (Seems like the colors in these photos might be a little better representative than the stock color swatches on the website… I am having an especially difficult time with the Violet Grey.) Thanks! Yes, you are correct. They are Lavender and Violet. 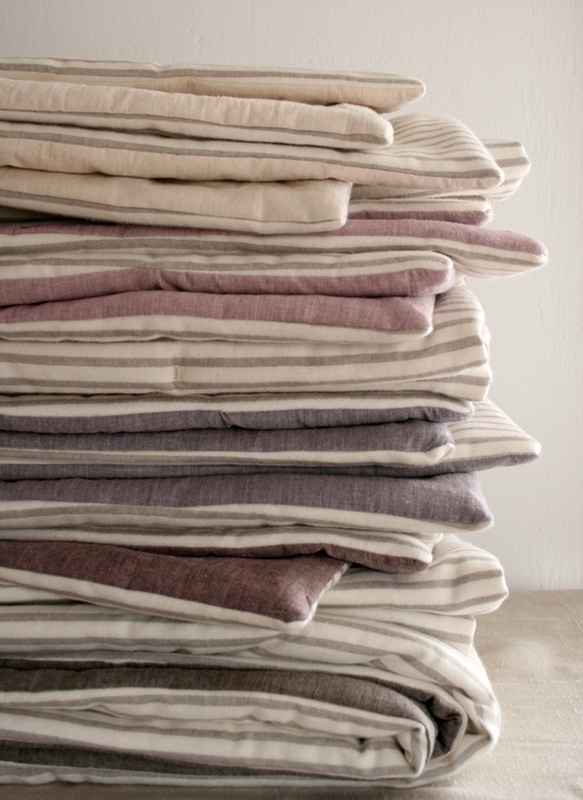 It looks like the Violet was mistakenly called “Violet Grey” in the Lap Duvet story. I apologize! Please let us know if you have any more questions! I wanna make this project in Robert Kaufman Mammoth Flannel in grey. Can you help me with a corresponding fabric to go with? Thank you for reaching out! 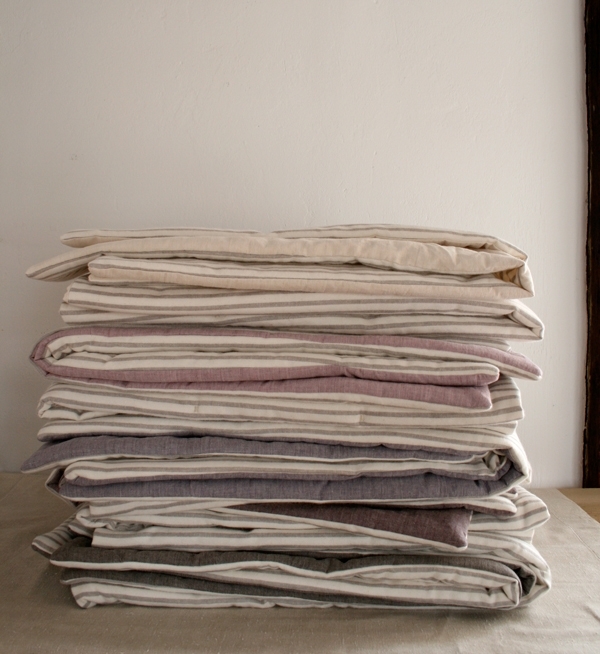 I think that Robert Kaufman’s Essex would be beautiful option for these Duvets.